Dambusters Inn, Scampton, LINCOLN. Village Pub and Restaurant. In the Dining Pub of the Year category — the Dambusters Inn was awarded a Gold Citation at the LINCOLNSHIRE LIFE MAGAZINE ‘TASTE of excellence’ FOOD AND DRINK AWARDS 2018. The Awards were announced on Thursday 1st November 2018, following five months of voting from members of the public — the results were drawn from over 15,000 nominations for almost 2,000 businesses. Wednesday — the same as Tuesday. Thursday — the same as Tuesday. Friday — the same as Tuesday. Saturday — the same as Tuesday. This menu, updated on Tuesday 23rd April 2019, will vary according to season and the availability of ingredients. ALFRED ENDERBY of Grimsby's Dry Cured Traditional Smoked Salmon is naturally smoked the traditional way, over slowly smouldering wood shavings. CAMRA LocAle is an initiative that promotes pubs stocking locally brewed real ale. The scheme builds on a growing consumer demand for quality local produce and an increased awareness of ‘green’ issues. The Dambusters Inn enthusiastically supports this admirable initiative by the Lincoln Branch of CAMRA, launched at the 2009 Lincoln Beer Festival. 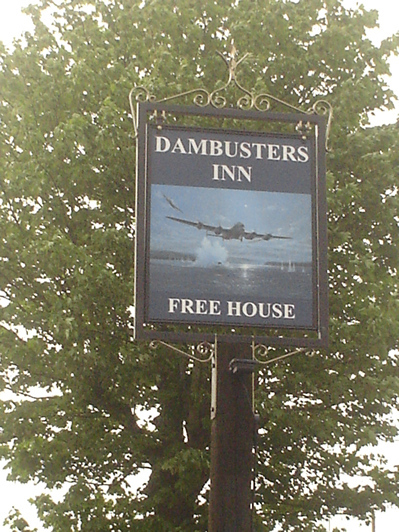 The scheme features breweries located within twenty-five miles of the Dambusters Inn. CAMRA’s GOOD BEER GUIDE 2019 – Published on Thursday, 13th September 2018 – the 46th Edition. A village pub with a twist. It has a unique collection of RAF memorabilia, including one wall dedicated to the memory of the airmen who took part in the legendary dambuster’s raid. A beer festival is held in May, around the date when 617 Squadron attacked the German dams. Sit in the rear garden and you may be treated to a display by the locally based Red Arrows. Two beers brewed by the landlord are always on the bar. The image of the Guide Book above is linked to CAMRA’s website and the information you need to discover more about the Campaiagn for Real Ale. The reviews in the Guide are based entirely on nomination and evaluation by CAMRA members. AT THE SIGN OF THE DAMBUSTERS INN . 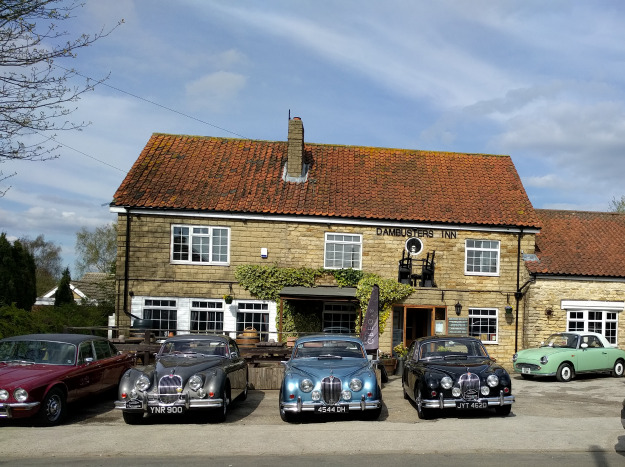 . .
A newly-built microbrewery situated behind the pub in the neatly kept garden of the Dambusters Inn has been very successfully producing an interesting variety of beers brewed by the Landlord, Greg Algar, for five years. Simon Atack, one of the world’s foremost military aviation and naval artists, has graciously and generously permitted a special reproduction of his painting, Hopgood’s Courageous Run to form the design of our new Pub Sign. We thought it appropriate to make this new sign in recognition of and to mark the eightieth anniversary of OPERATION CHASTISE. 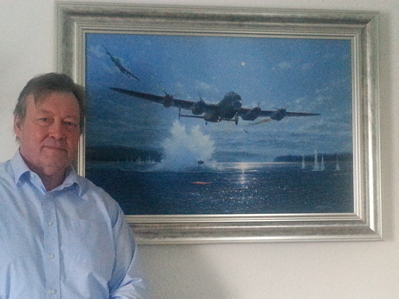 All of us at the Dambusters Inn feel deeply honoured to have this fine work of art displayed for all to see and enjoy . . . and remember. P.S. The original painting has been sold. Read Simon’s vivid and deeply moving account of Flt. Lt. John Vere Hopgood DFC & Bar as he made his ill–fated attack on the Möhne Dam in the early hours of 17th May 1943. Ephemera from a Private collection — Guten Appetit! JUNGLE OR THROW AWAY IN SEA FROM DINGHY. Today, in the early evening, we were very pleased to welcome the Judge from the Countryside Alliance Awards Campaign when she made her pre-arranged visit to the Dambusters Inn. The Judges from the Countryside Alliance Awards Campaign are currently visiting all of the thirty-three Finalist Pubs for evaluation. Greg Algar and Steve Plews had the opportunity to enjoy a relaxed conversation with the Judge during the two-hour visit. Whatever the outcome of the ‘Rural Oscars’ (Countryside Alliance Awards 2019) between now and May 2019, when the Regional Winners are to be announced, it has to be said that we feel most encouraged to have been included as an East of England Region Finalist in this exciting campaign to support and promote the enterprise of the folk living and working in our countryside. In due course, we shall learn of the Judges’ deliberations . . . If, perchance, you just so happen to be travelling in the right parts of Essex, Hertfordshire or Norfolk, you may like to consider a visit to one (or all) of the other three of the four Regional Finalists in the East of England | PUB Category. All of us at the Dambusters Inn are exceedingly pleased to take this opportunity to be able to offer our sincere thanks to each one of our customers. You have brought the Dambusters Inn to a very happy point in its twenty-year history. Many of you very kindly 'Nominated' the pub as a Contender in the 2019 Country Alliance Awards ( also known as the Rural Oscars ). We have just been advised that the Pub is a Finalist in this nation-wide campaign. The Awards are the Countryside Alliance’s annual celebration of rural produce, skills, enterprise and heritage through our small hard-working businesses. They are now in their fourteenth year . . . 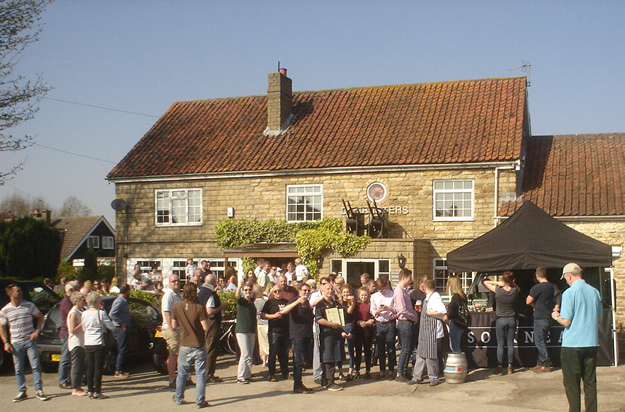 Throughout the eight regions, only thirty-three pubs have reached this ‘finalist’ stage - and only four pubs in the East of England Region - one being us. 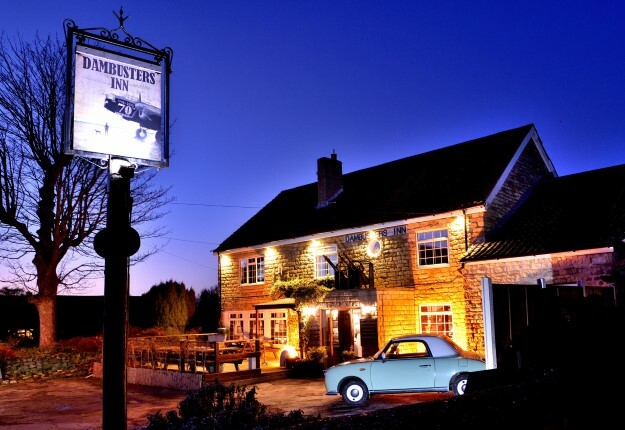 Once more, thank you, each one of our customers, for your valued help in putting the Dambusters Inn into the 2019 Country Alliance Awards Regional Finals. As the Judging begins, we wish all of our thirty-two sister pubs jolly good luck . . . and ourselves, too, of course.
. . . and finally, the Dambusters Inn sends a sincere Thank You to Awards Director, Sarah Lee and her many colleagues at Countryside Alliance Awards for their colossal effort on behalf of all of us working and living in England’s countryside. Read about all the Regional Finalists on the Countryside Alliance website. This menu, updated Tuesday 23rd April 2019, will vary according to season and the availability of ingredients. This menu, updated on Sunday 21st April 2019, will vary according to season and the availability of ingredients. A TALK by Squadron Leader George Leonard ‘Johnny’ Johnson, MBE, DFM. This visit by ‘Johnny’ Johnson to the Dambusters Inn, provides us with a rare opportunity to spend a couple of hours relaxing and talking with him about his extraordinary life. His ‘Talk’ will form a key part of the evening and will be of around thirty minutes duration. The purpose of the evening is to help promote the work of the 617 Squadron Association whose objectives are exclusively charitable. He will be very happy to sign photographs and books that he will bring along with him as a part of the ‘promotion’ of the 617 Squadron Association. Squadron Leader George Leonard ‘Johnny’ Johnson, MBE, DFM (born 25 November 1921) is a retired Royal Air Force officer who is the last surviving original member of No. 617 Squadron Royal Air Force and of Operation Chastise, the ‘Dambusters’ raid on 16th / 17th May 1943. ‘Johnny’ served as an Air Gunner on Lancasters with 97 Squadron at Woodhall Spa until he retrained as a Bomb Aimer. He returned to 97 Squadron to fly in the crew of American pilot, Joe McCarthy and completed his full tour of thirty ‘ops’ (Operations). Selected to join the newly–forming 617 Squadron in March 1943, he flew on the ‘Dams Raid’ with Joe McCarthy, attacking the Sorpe Dam. He received the DFM for his part in the raid and was commissioned in November 1943. He flew a further nineteen missions with 617 Squadron and then became a Bombing Instructor until the end of hostilities. At the end of the war he qualified as a Navigator, so that he could receive a permanent commission, and subsequently flew Avro Lincolns with 100 Squadron and Avro Shackletons with Coastal Command, before retiring from the Royal Air Force in 1962.
probably photographed in late 1943. We are very grateful to the following sources for some of the above content regarding Squadron Leader George Leonard ‘Johnny’ Johnson, MBE, DFM. 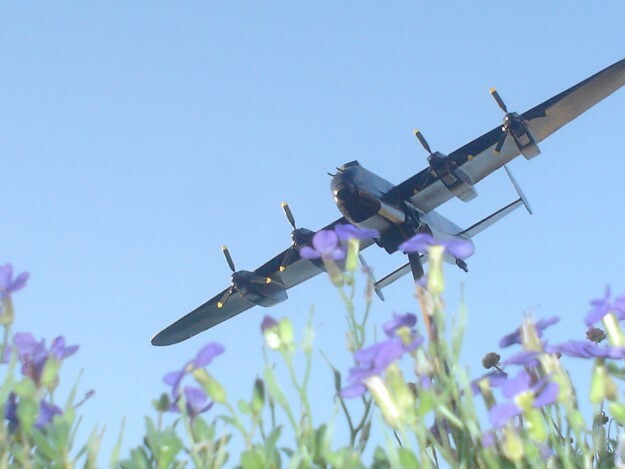 Please help to support the charitable work of the 617 Squadron Association. An opportunity to choose from our carefully selected range of twenty, Fine English Ales and to enjoy them in a festive atmosphere. The list is in the process of being compiled and will be published when ready.
. . . and at 15:00 on Saturday, 18th May 2019 . . . 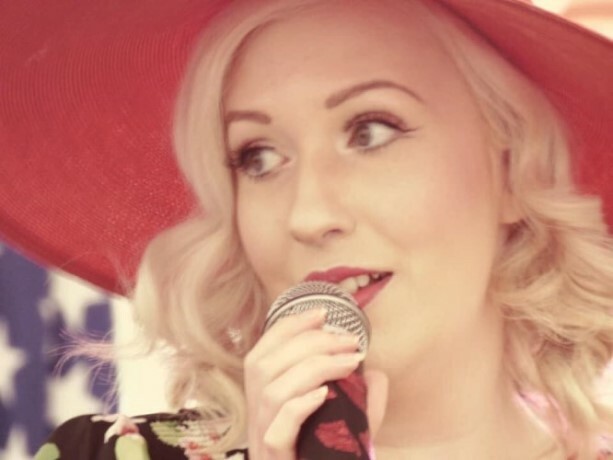 Bringing her faithfully–rendered repertoire of songs so familiar to the people of Great Britain during the 1940s. For a decade, Miss Mae has been charming audiences with her lovingly re–created performances of the music and the songs that helped enormously to boost the morale of the nation at a very dark time in its history. Determinedly buoyant and uplifting, the humour, optimism and fighting spirit conveyed in the music of the time survives intact and lives again when we listen and hear Miss Mae sing it as it was. These ever–popular songs have survived for eighty years, and Miss Marina Mae is ‘Doing her bit’ to make it so. Indulge us if you will, Miss Mae, when we borrow from another memorable musical era and say to you, ‘THANK YOU FOR THE MUSIC’. Other Events Will Be Listed Here . . . This Award is to be presented soon . . . Presented to the Dambusters Inn on Saturday, 28th July 2018 by Bob Foulger, CAMRA Lincolnshire Area Organiser. Our sincere thanks to CAMRA for the many hours of work they undertake (entirely voluntarily) to sustain the role of pubs at the heart of the community. 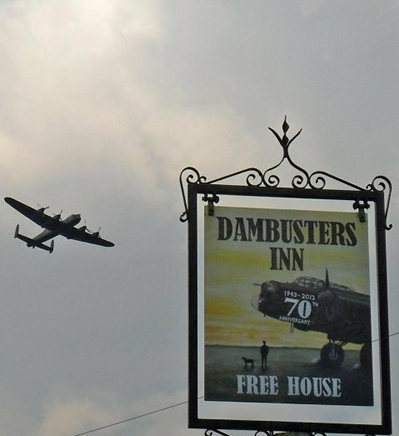 Our sincere thanks to everone who visits the Dambusters Inn and by their very presence, makes it – 'that that it is'. Our sincere thanks to everyone who works at the Dambusters Inn - together, you and your many visitors have brought us this day. Presented on Saturday 07th April 2018 by Aaron Joyce, the Chairman of the Lincoln Branch of CAMRA. Presented on Saturday, 08th April 2017 by Aaron Joyce, the Chairman of the Lincoln Branch of CAMRA. Presented on Saturday 23rd April 2016 by Aaron Joyce, the Chairman of the Lincoln Branch of CAMRA. and all the men and women who served here were almost forgotten . . . In 2003 one local person was inspired to research the history of this World War II airfield. That inspiration kindled the ambitious idea to build a permanent Memorial dedicated to preserve the memory of the people and the place. That ambitious idea, nurtured and developed over the intervening years, is now a thriving, ongoing project. Ingham Aviation Heritage Ltd. (Registered Number: 1142147. ) is a charity and all offers of help of whatever kind are warmly welcome. The Heritage Centre is open to visitors on Sundays from 09:00 until 12:00 where you can see the impressive progress as the restoration building work continues. The MEMORIAL GARDEN is also open to visitors on Sundays from 09:00 until 12:00. Currently, the Heritage Centre receives sponsorship from a dozen or so organisations both local and national, including the National Lottery through the Heritage Lottery Fund. Commonwealth War Graves Commission . . .
. . . honours the 1.7 million men and women of the Commonwealth forces who died in the First and Second World Wars, and ensures they will never be forgotten. Every year, Scampton Church welcomes hundreds of visitors. The Churchyard contains sixty-four Commonwealth burials of the Second World War and eight German war graves. 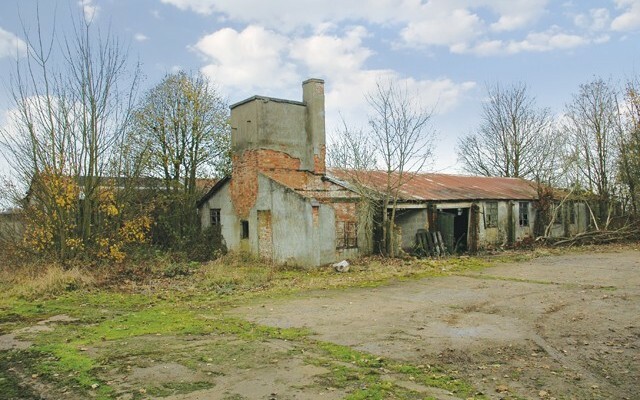 During the Second World War there was a Royal Air Force Station at Scampton, and in the early months of the war a plot lying to the right of the entrance was set aside for the burial of servicemen. In 1941 it became necessary to reserve further ground for this purpose and a plot in an extension of the churchyard north of the church was used. The Commission’s objective is to make sure that the sites – from individual scattered graves to iconic cemeteries and memorials – are visited and explored as a permanent part of local heritage. The Commission actively engages new audiences and finds innovative ways to involve the whole community with its work – through education and outreach, voluntary activity, arts and heritage projects, local research and partnership working. The Commission aims to increase local awareness of Commonwealth War Graves Commission (CWGC) sites, particularly in the UK. Rising to the challenge of this work, a research project by members of Scampton Church intends to map and document as much personal information as can be discovered, relating to each of the service personnel buried here. If you would like to help us in any way with this fine project then please contact us. 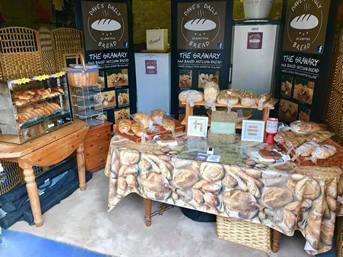 Artisan Breads AGA home baked at The Granary, Scampton. A range of original flavoured breads baked in a variety of sizes and styles. All breads are made using simple, quality ingredients with no additives, colourants or preservatives. The dough is made from only quality flour, yeast, butter, water and salt – nothing else – and the flavours are hand–kneaded into the dough before shaping and allowed to prove and rise. All breads are then baked in an AGA to ensure all–round even cooking with great results every time. Once the breads are cooled they are individually wrapped in perforated bread bags to ensure they are allowed to breath and keep fresh. Most breads are then frozen immediately in airtight bags to capture the moisture and freshness and will then keep frozen for at least three months and ready to use anytime. (Make sure you ‘like’ the Facebook page: Dave’s Daily Bread) as you will be informed of my baking days and have the opportunity to pick up fresh from The Granary on the day. Also note that I offer FREE DELIVERY on all orders over £10·00 within five miles of Scampton. If you live further away, I will add a small charge for fuel. I can also bake fresh for any specific, large orders; just contact me so we can discuss. Now, here is a very interesting additional note to Dave’s content above for visitors to this website who may be unfamiliar with the word, AGA. AGA is an abbreviation of the company name, Aktiebolaget Gas Accumulator. The AGA cooker is a stored–heat stove and cooker invented in 1922 by the Nobel Prize-winning Swedish physicist Dr. Gustaf Dalén (1869 - 1937), who also founded the AGA Company. In 1912, Dr. Dalen lost his sight in an explosion. Forced to stay at home, Dr. Dalen discovered that his wife was exhausted by cooking. Although blind, he was determined to develop a new stove that was capable of every culinary technique and was easy to use. It is also capable of heating a house. In 1929 the cooker was introduced to England by Bell’s Heat Appliances. THE JON EGGING TRUST Raises aspirations, confidence and self-esteem, helping young people to overcome adversity and achieve their full potential. ROYAL AIR FORCES ASSOCIATION We’re here to give friendship, help and support. 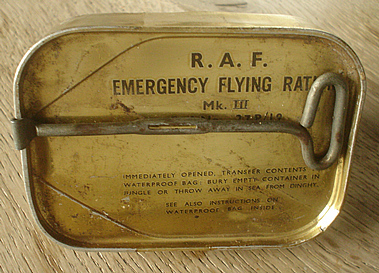 Welfare is at the absolute heart of the Royal Air Forces Association. THE ROYAL BRITISH LEGION Provides lifelong support for the Armed Forces community — serving men and women, veterans, and their families.